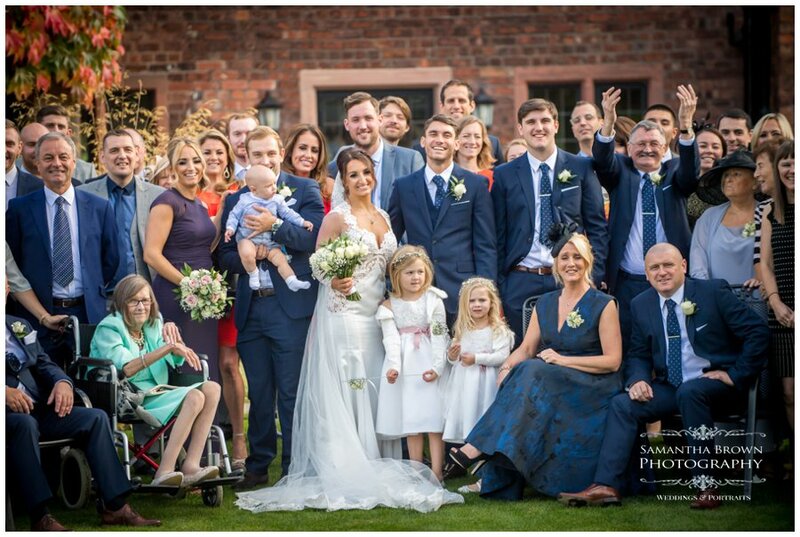 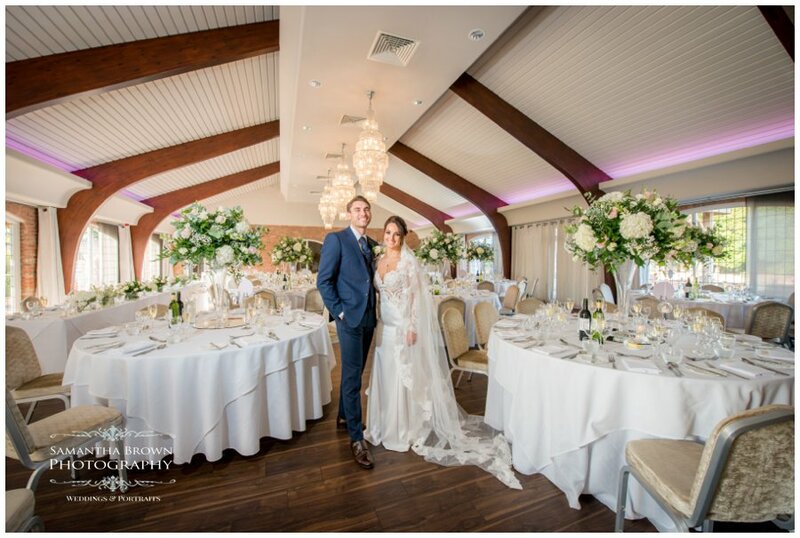 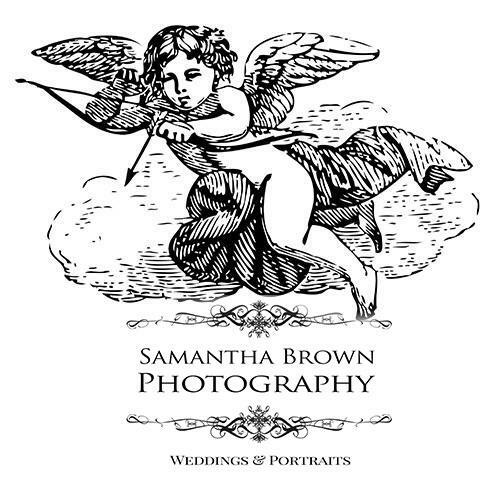 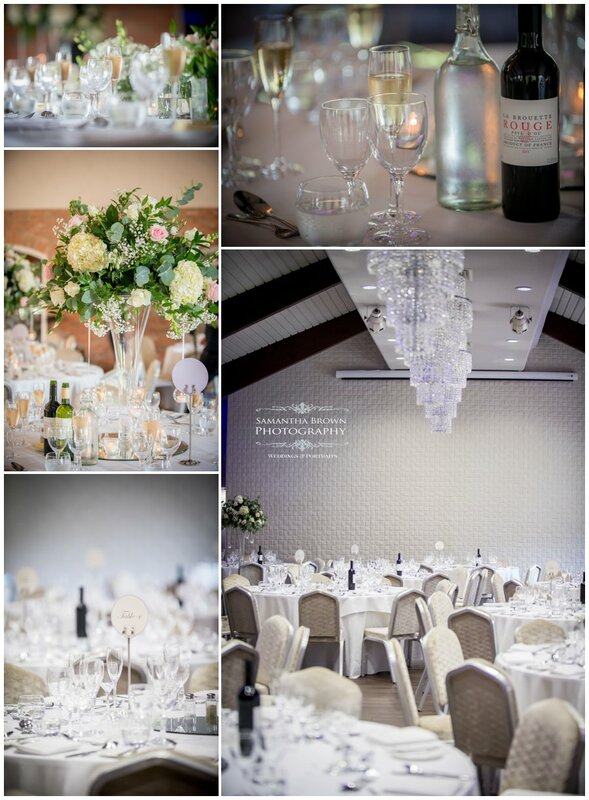 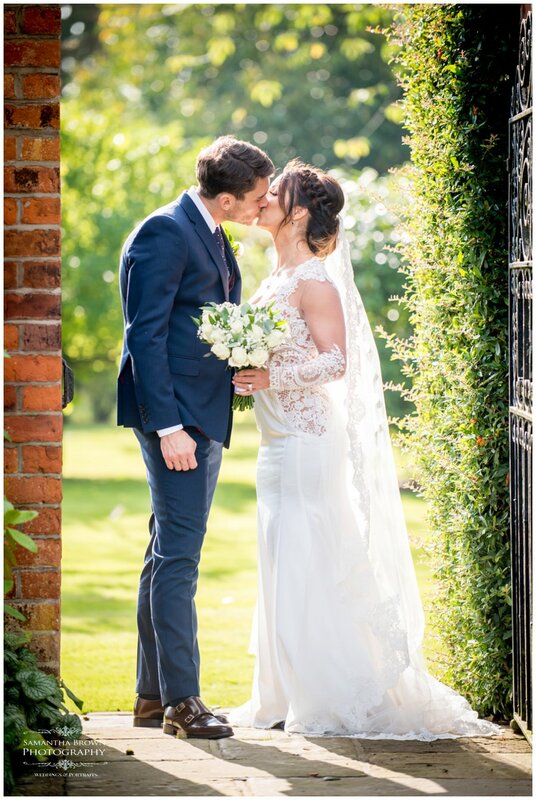 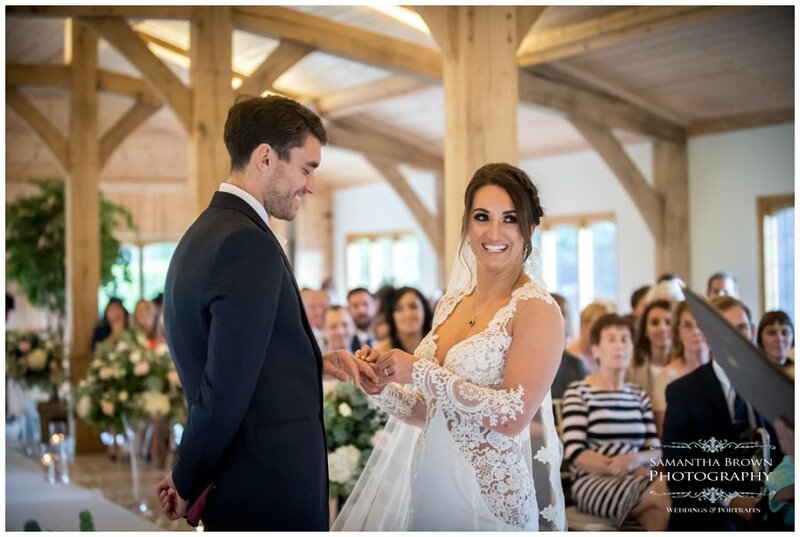 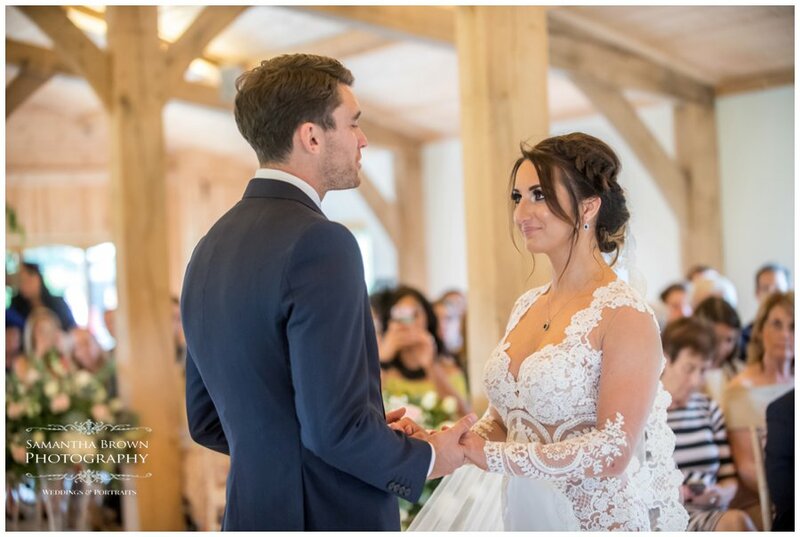 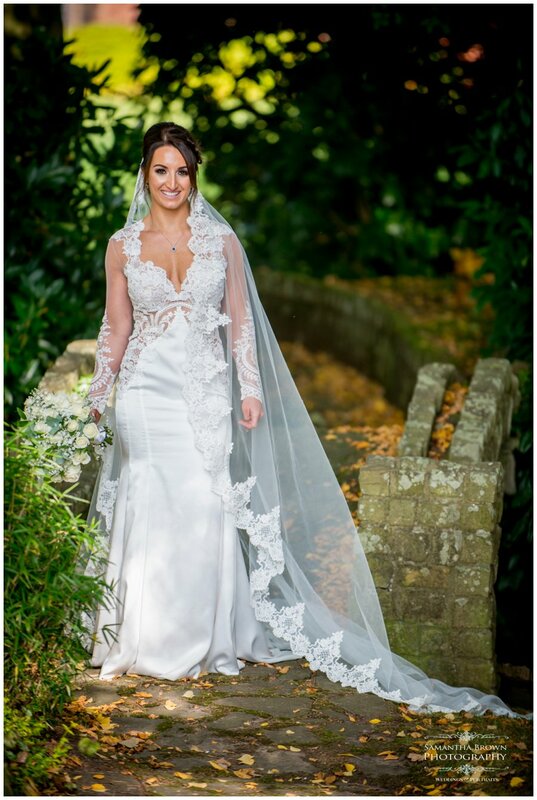 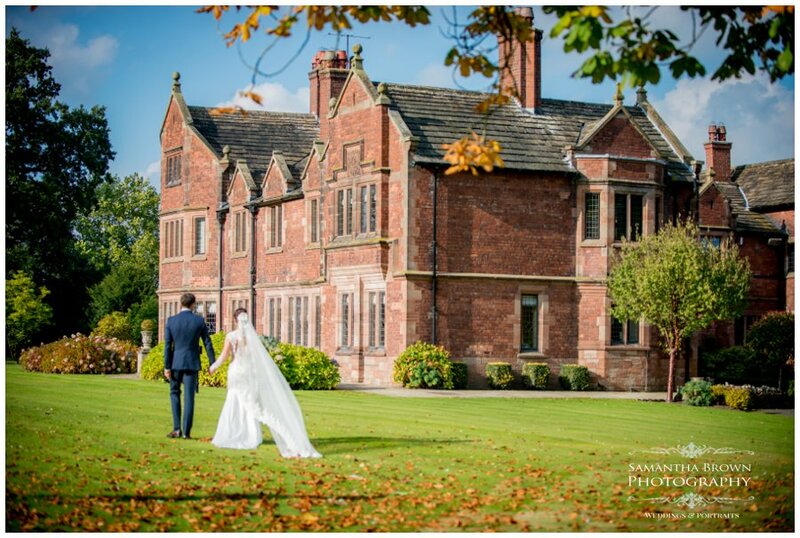 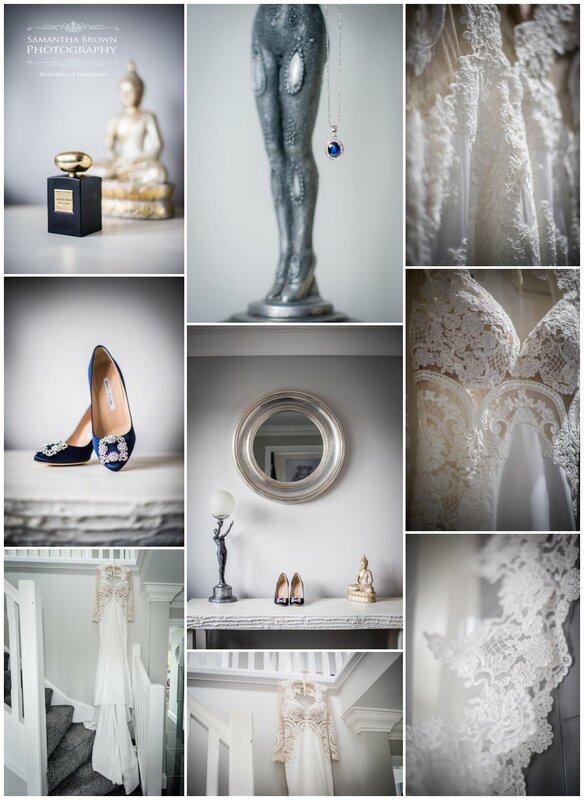 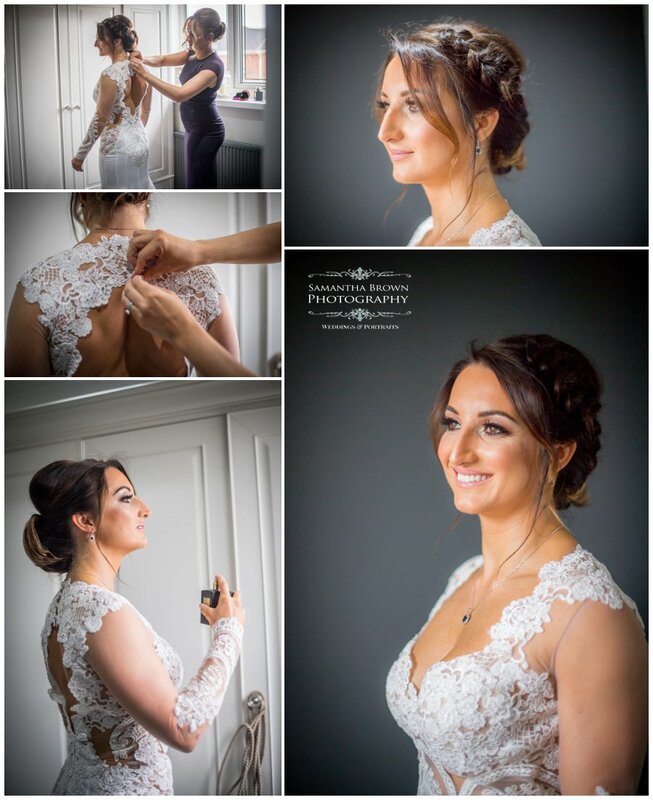 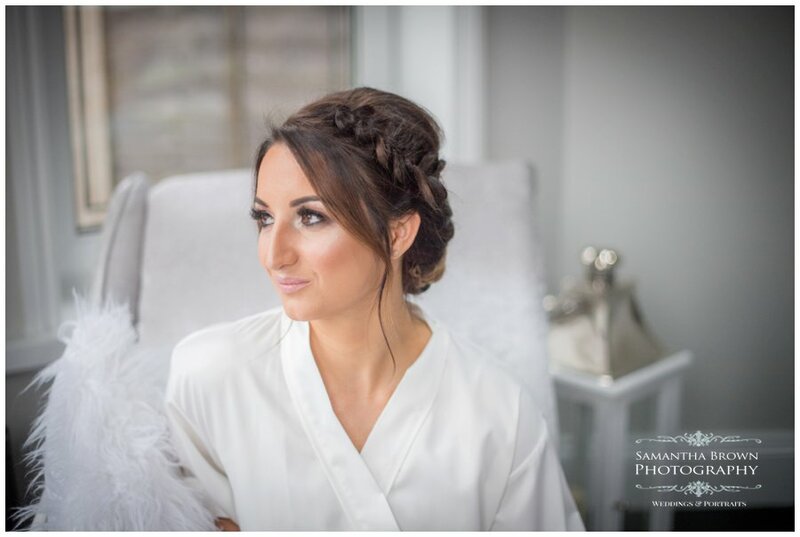 Colshaw Hall is one of Cheshire’s most luxurious and beautiful wedding venues, its a Grade II listed building which has been lovingly restored by the Irlam family and set in its own grounds within a private estate used exclusively for weddings. 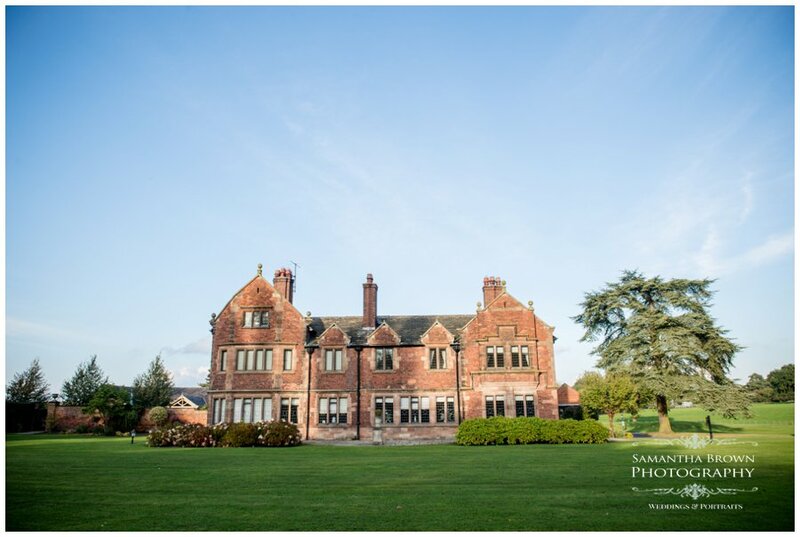 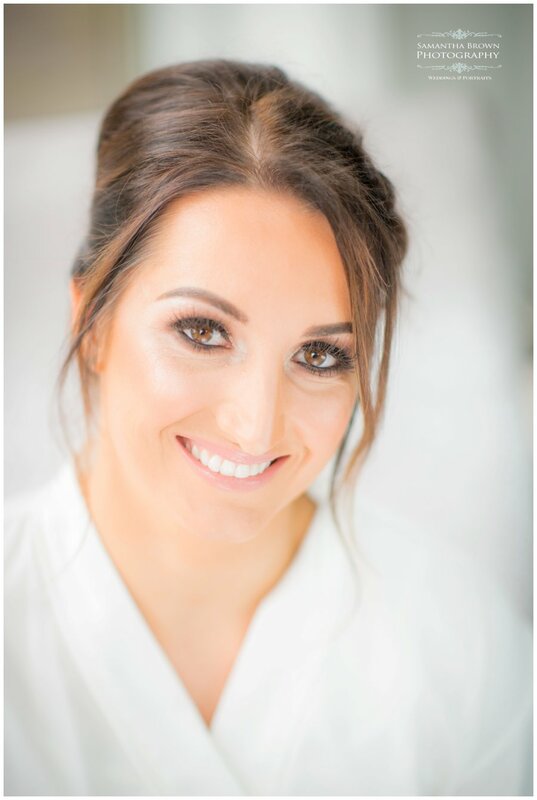 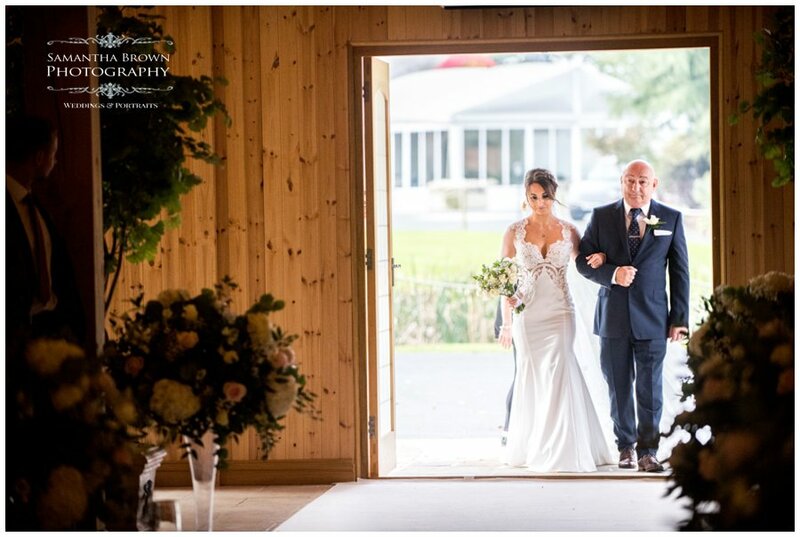 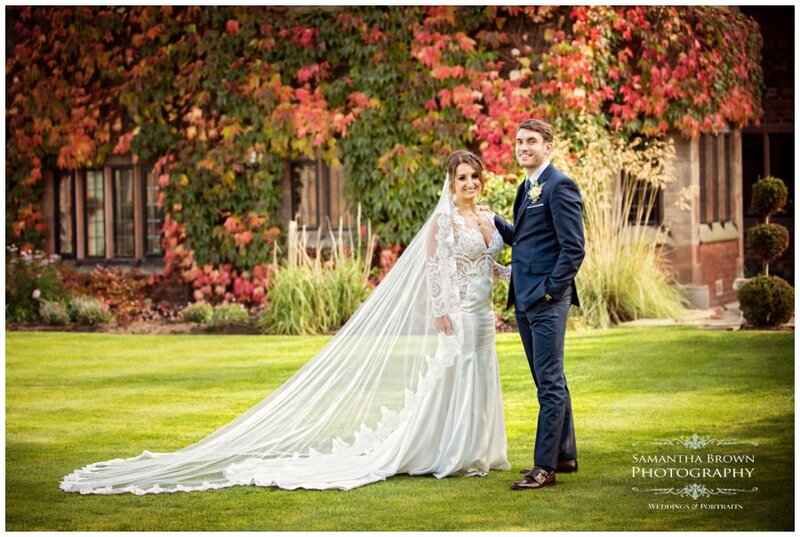 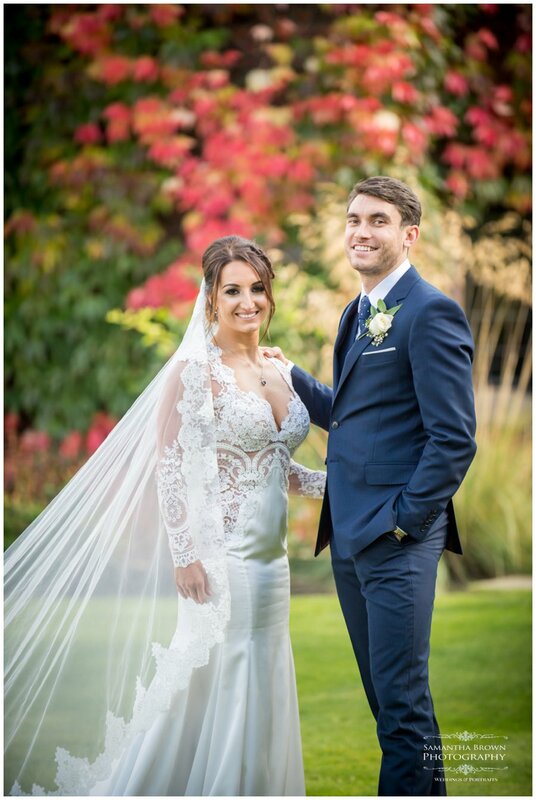 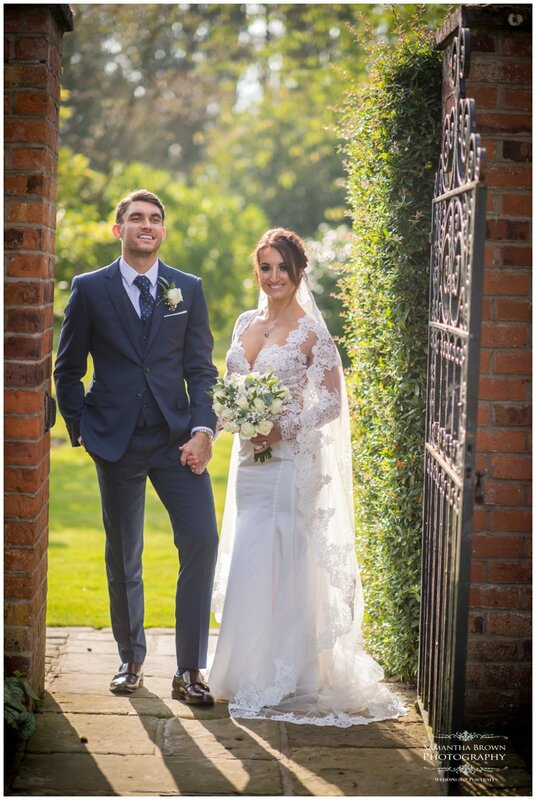 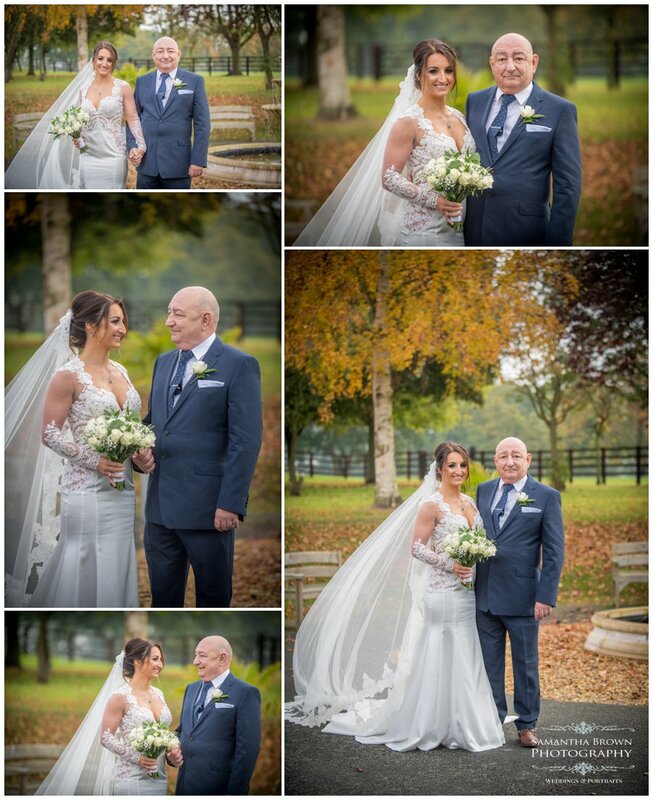 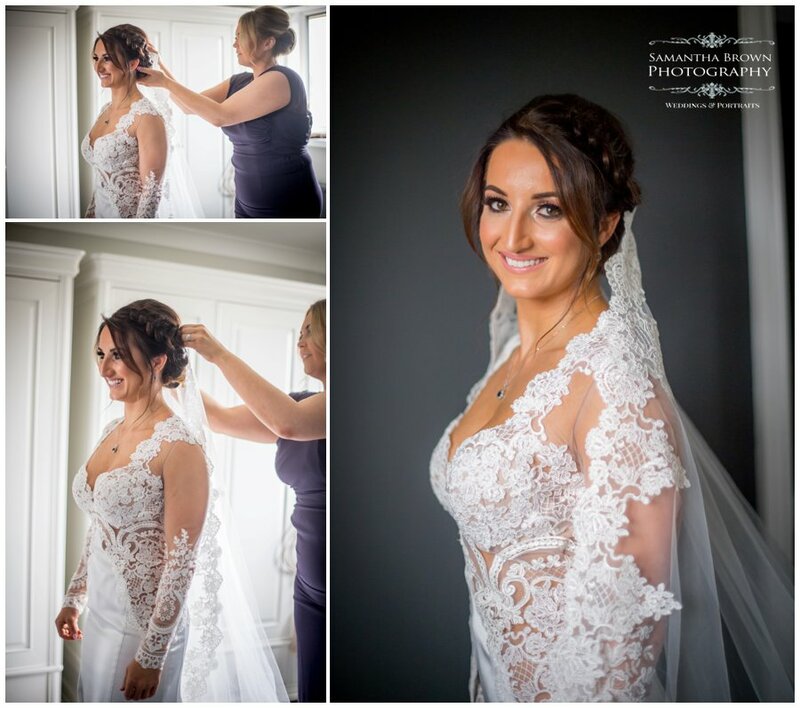 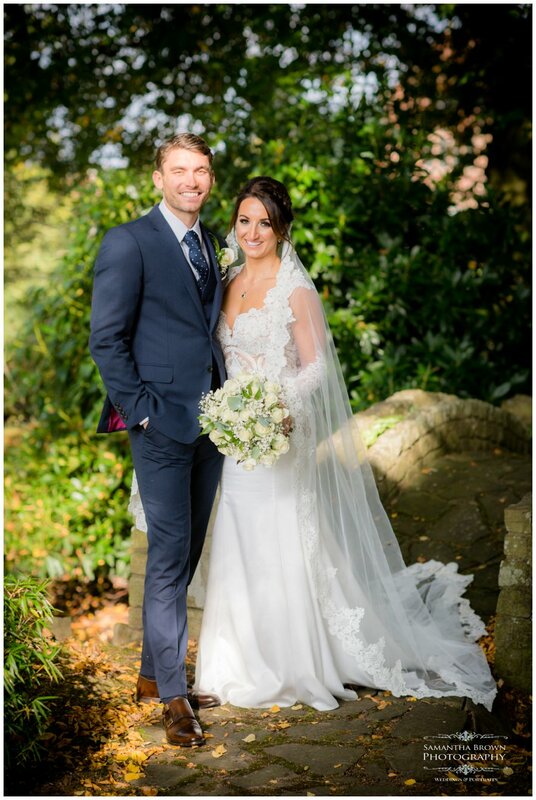 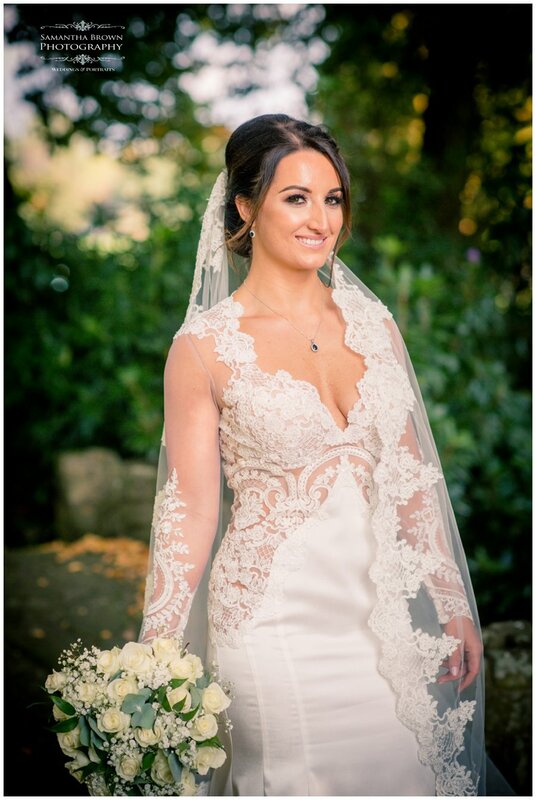 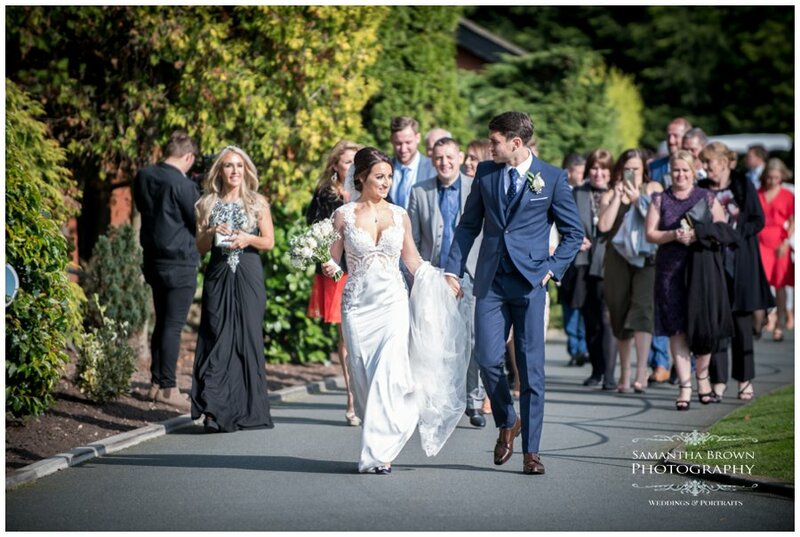 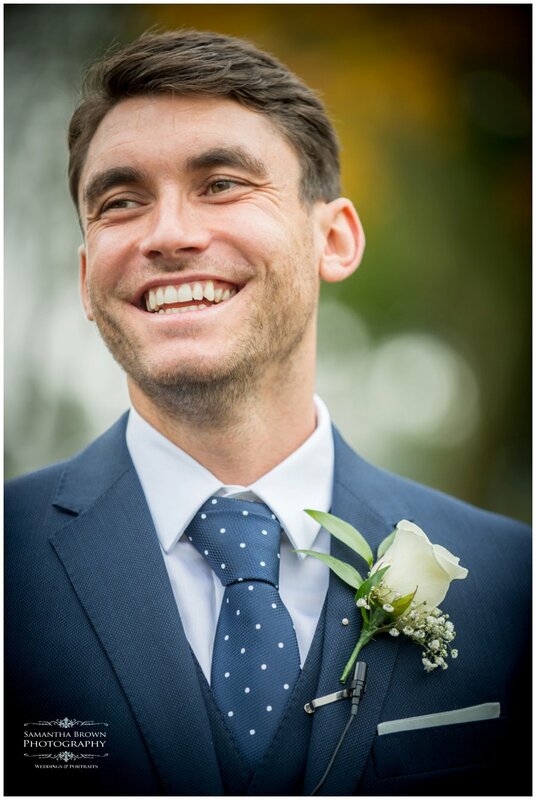 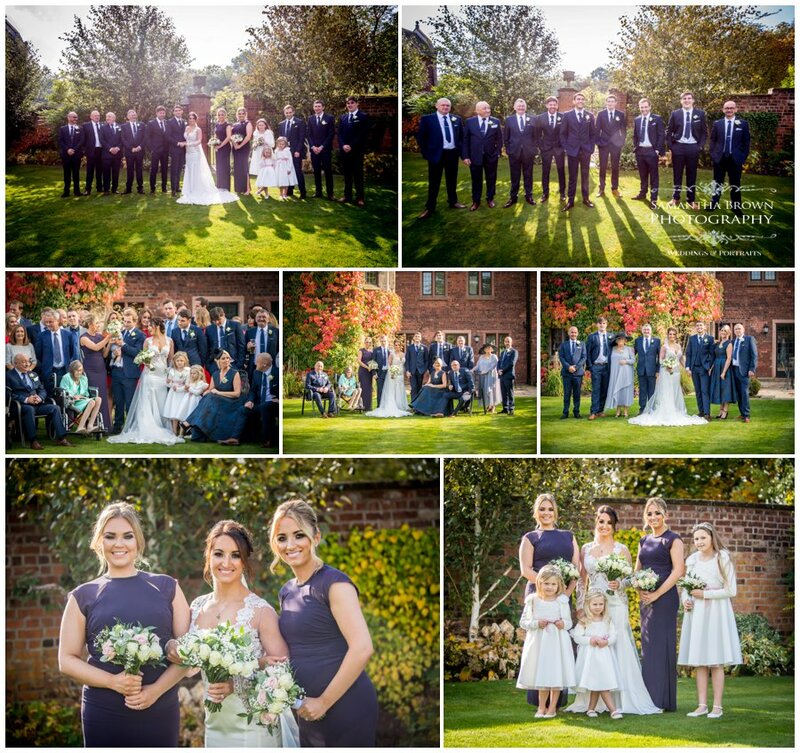 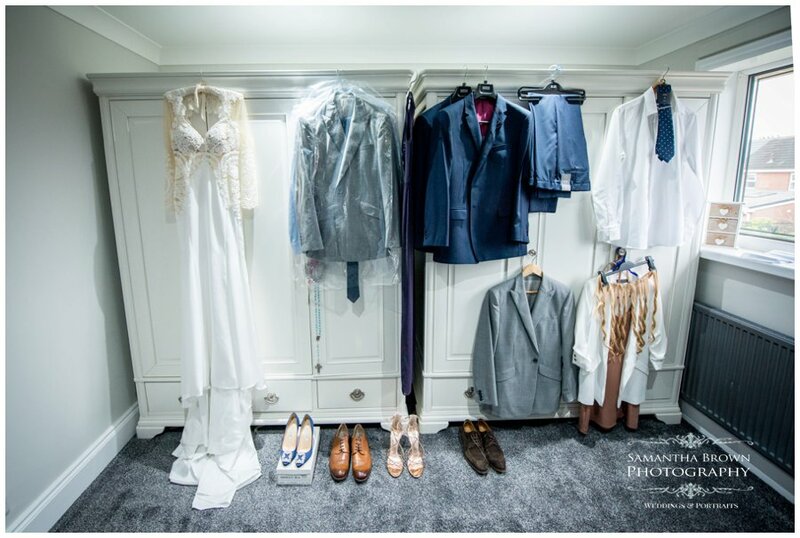 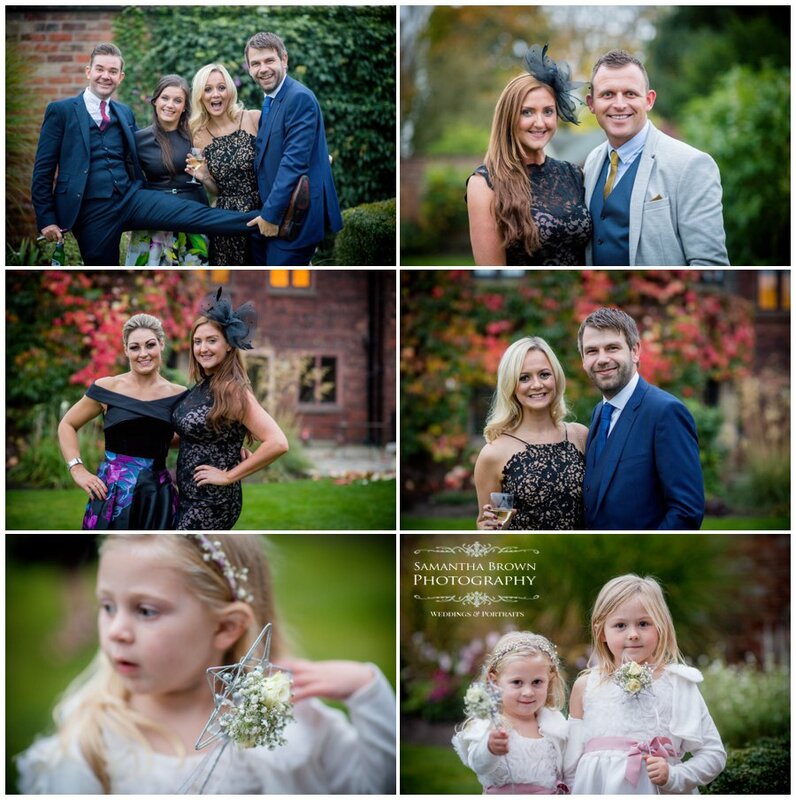 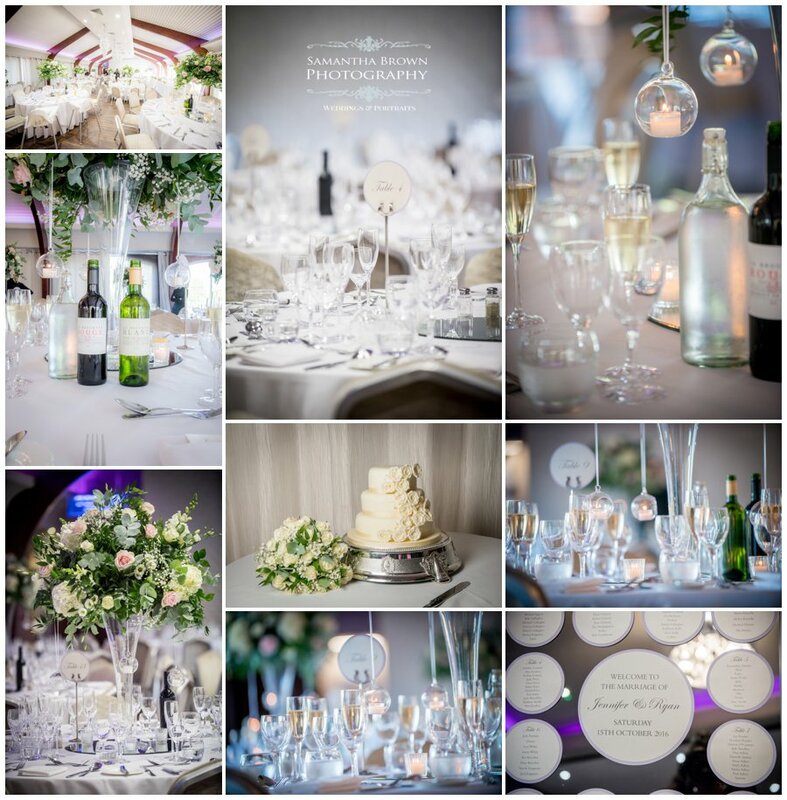 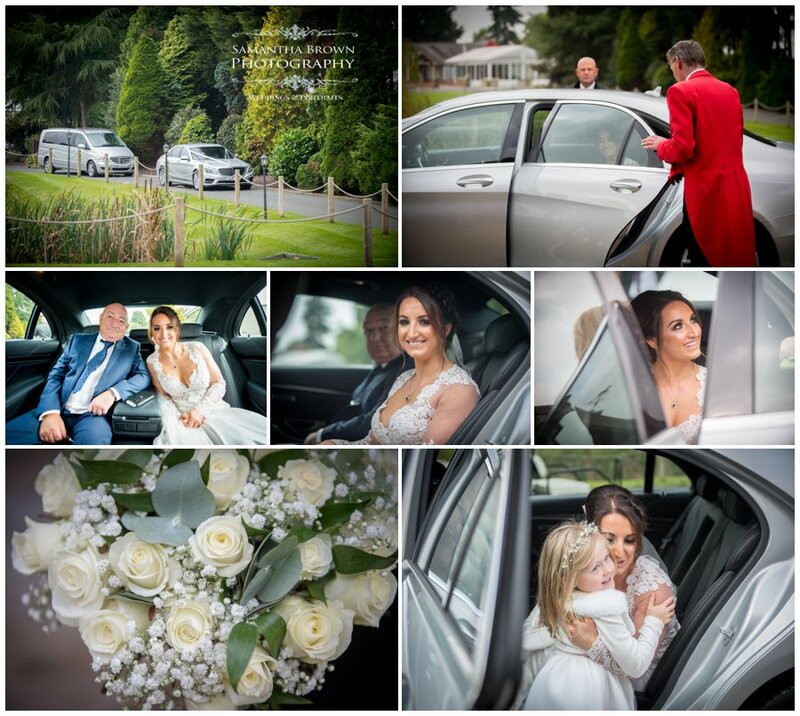 It makes a stunning backdrop for photographs, with its extensive grounds and beautiful interior, we were delighted to photograph Jen and Ryan’s wedding which took place on the 15th of October 2016. 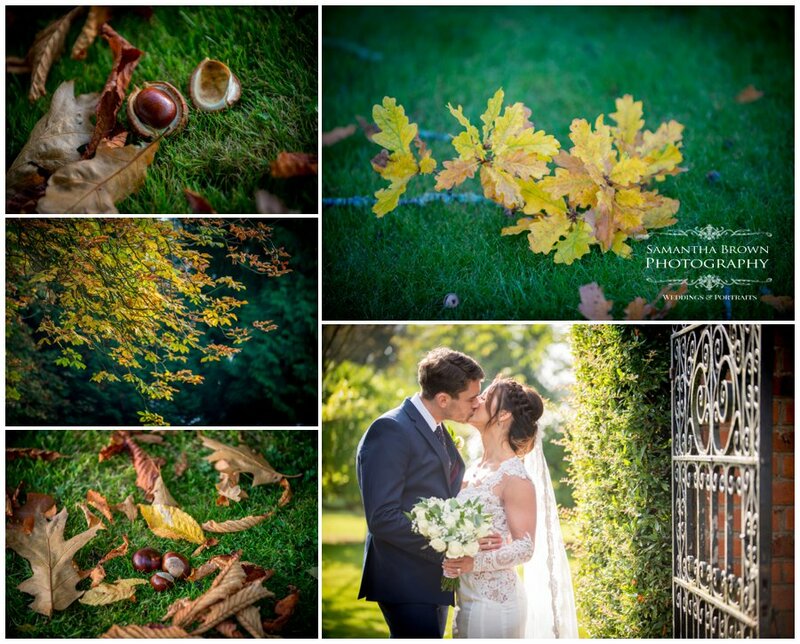 It was a beautiful crisp autumn day with the low sunlight peeping through the trees and the colourful palette of reds and oranges in the distance. 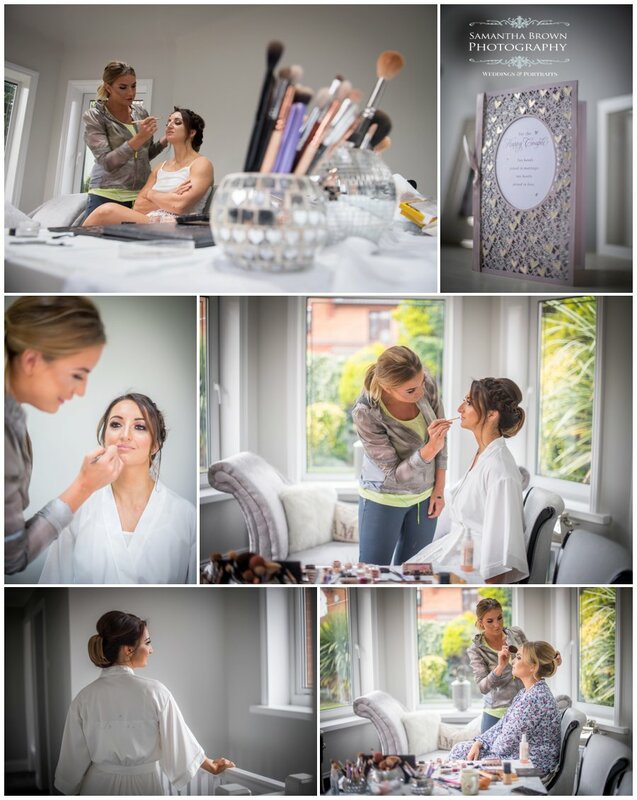 Neil and I started the day with Jen and the girls whilst they got ready at her brothers house as Jen lives abroad. 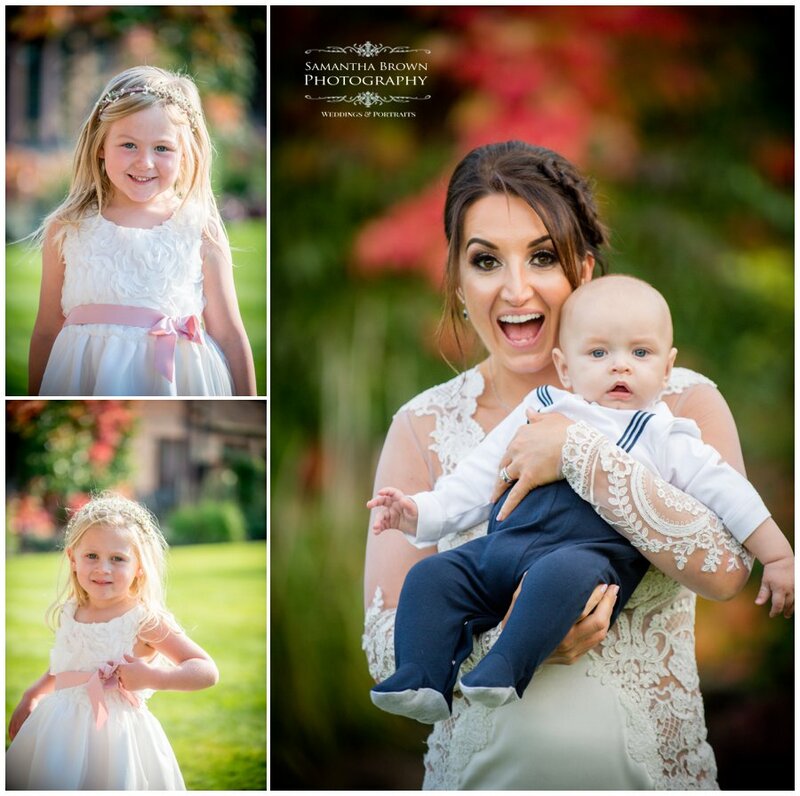 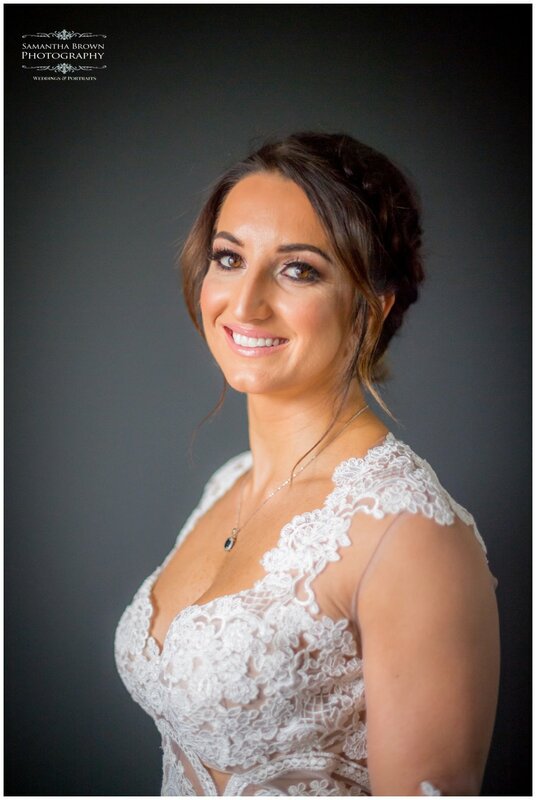 Jen looked stunning in her beautiful lace and satin gown and her bridesmaids were lovely in dark purple dresses and her flower girls was just adorable in ivory with pink ribbons. 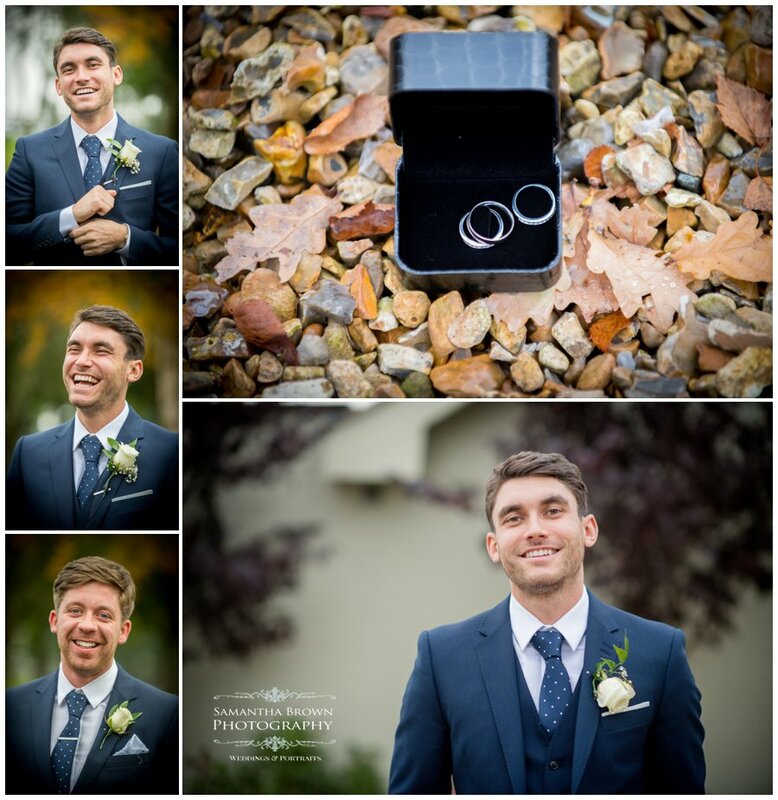 We met Ryan and the boys at the venue and they all looked dapper in navy blue suits. 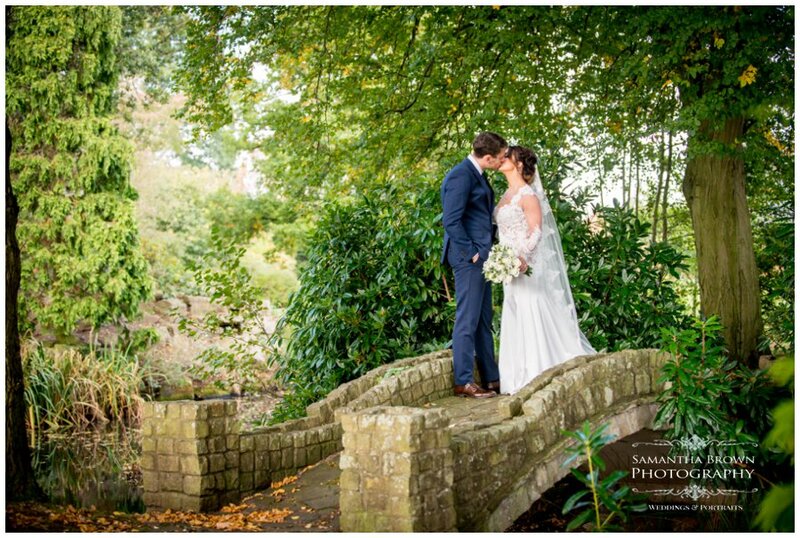 Jens bouquet was exquisite with ivory roses and eucalyptus leaves. 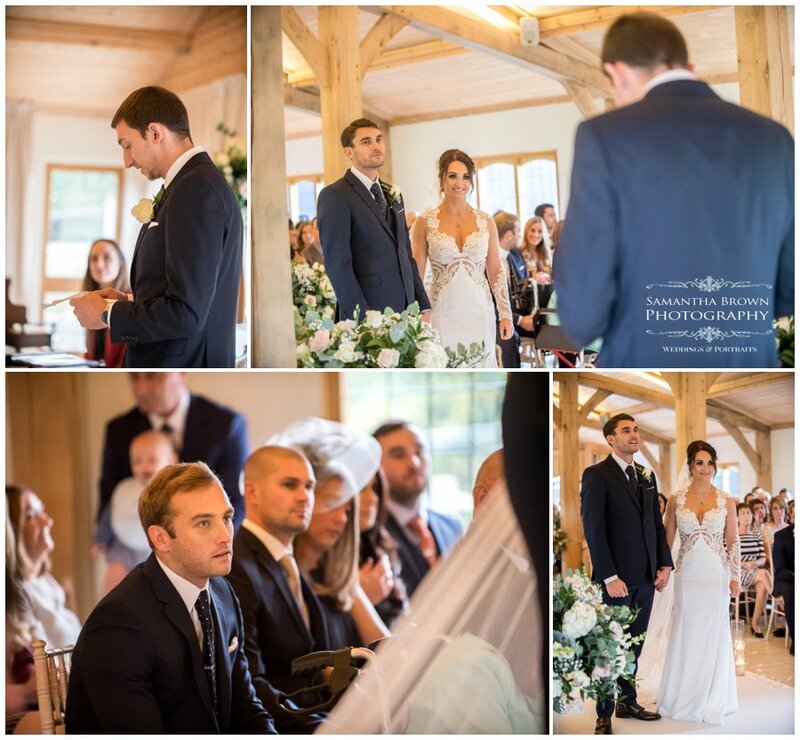 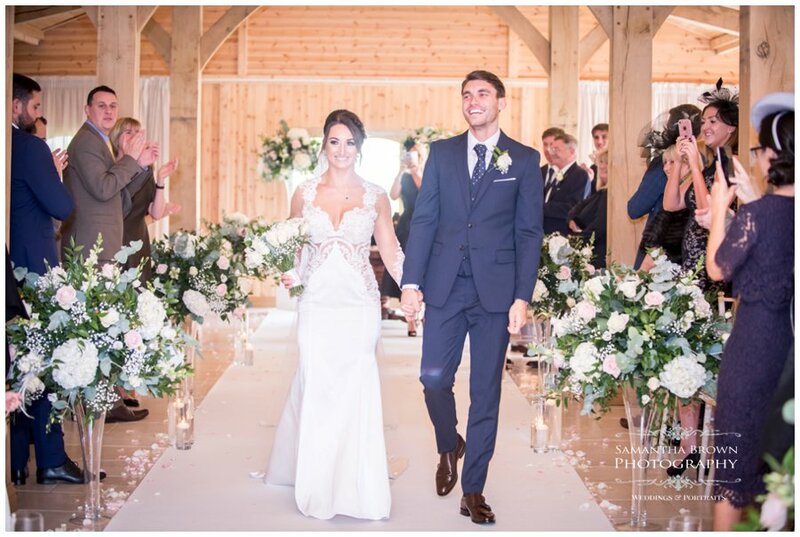 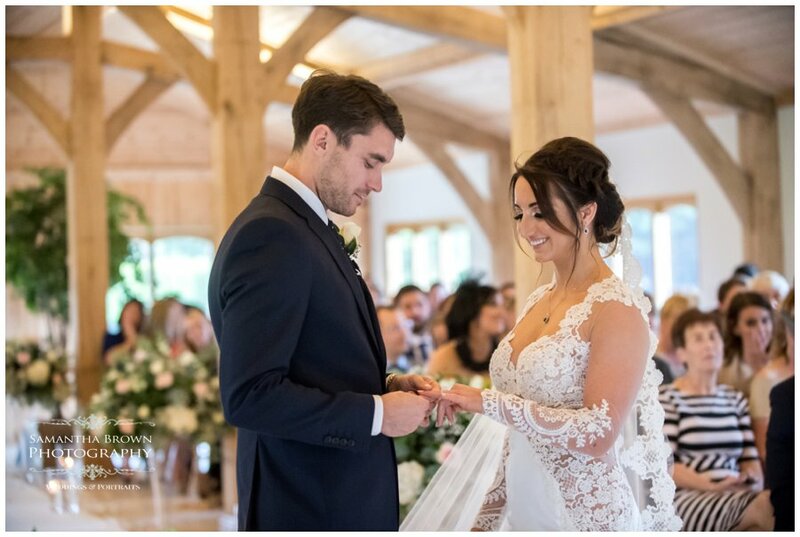 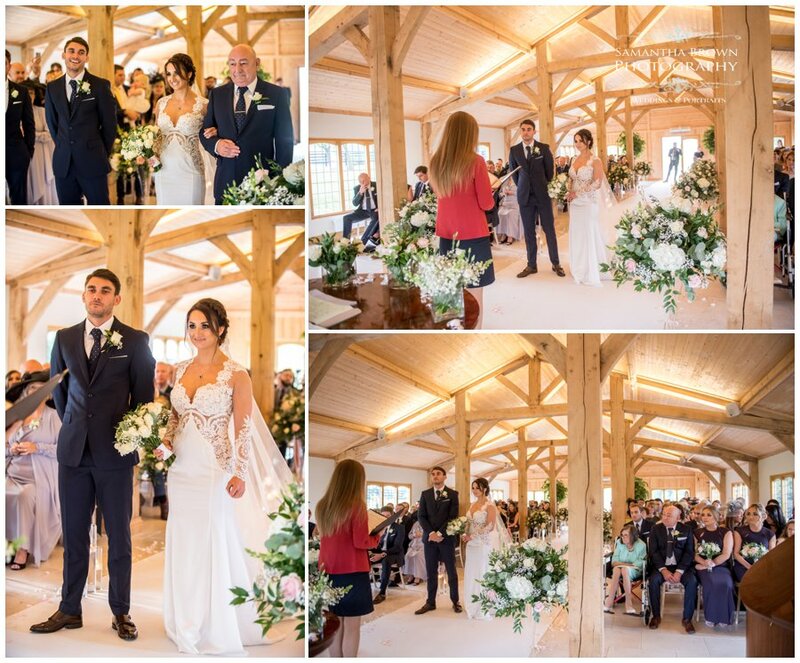 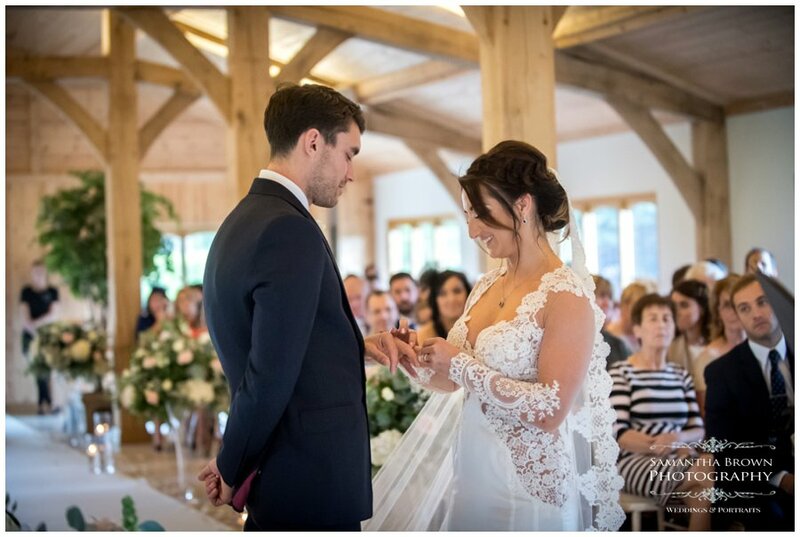 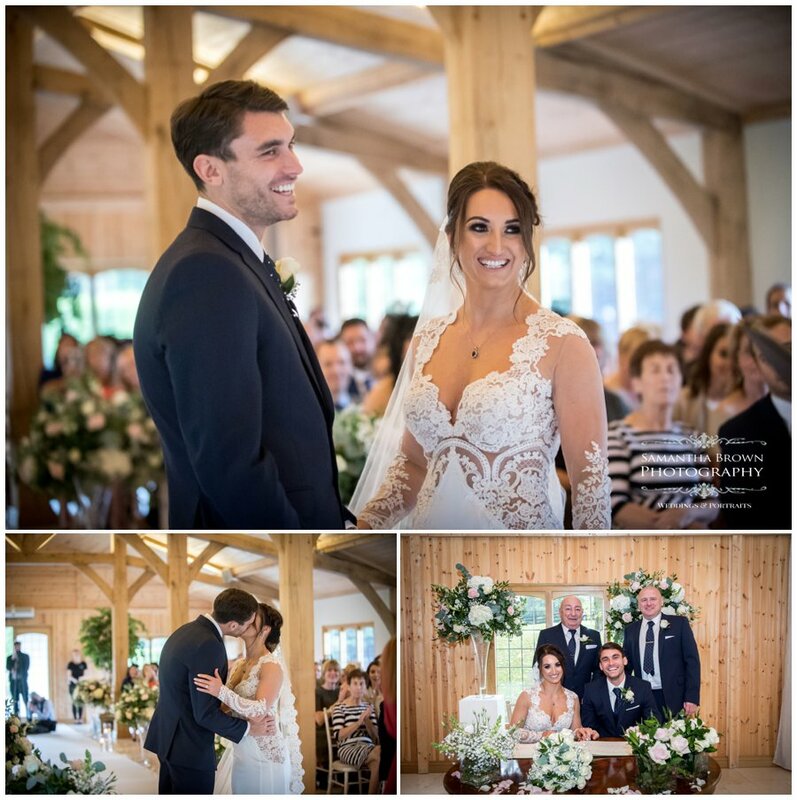 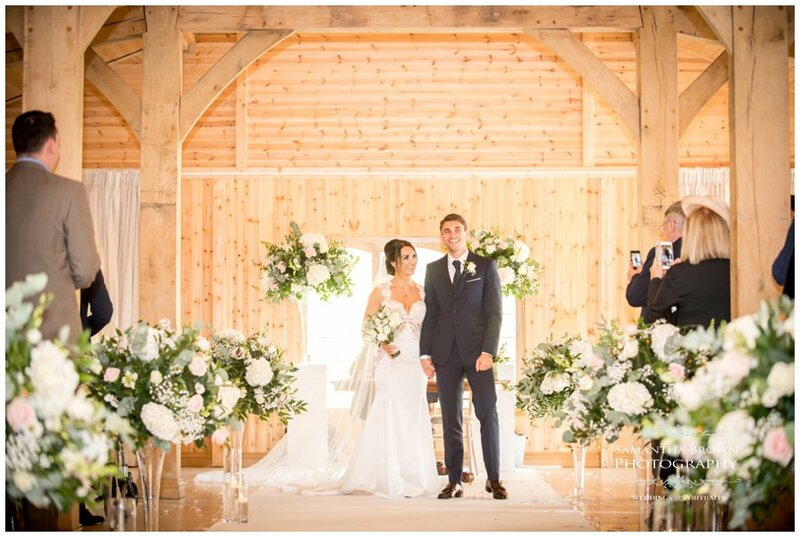 It was a very beautiful ceremony followed by a wonderful reception, The attention to detail was just lovely as the room was full of stunning floral arrangements full of ivory and pink roses combined with hydrangeas. 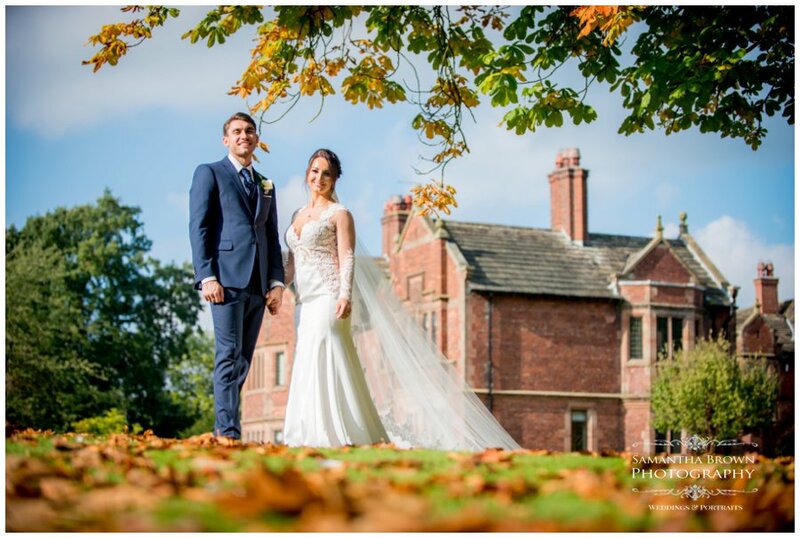 We strolled around in the grounds with our lovely couple and used the building combined with the glorious autumn colours for the backdrop to our photographs. 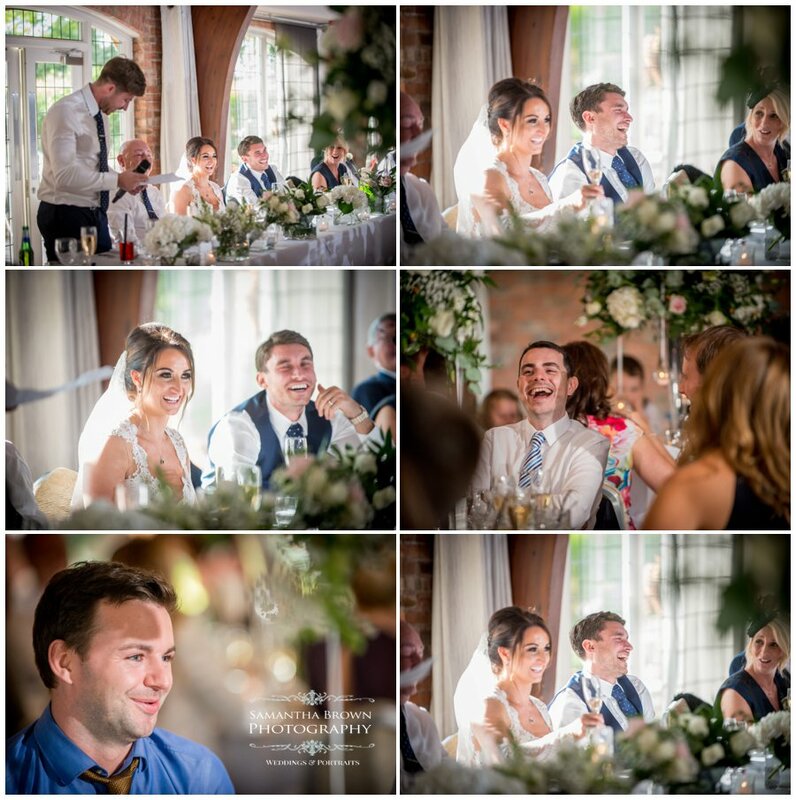 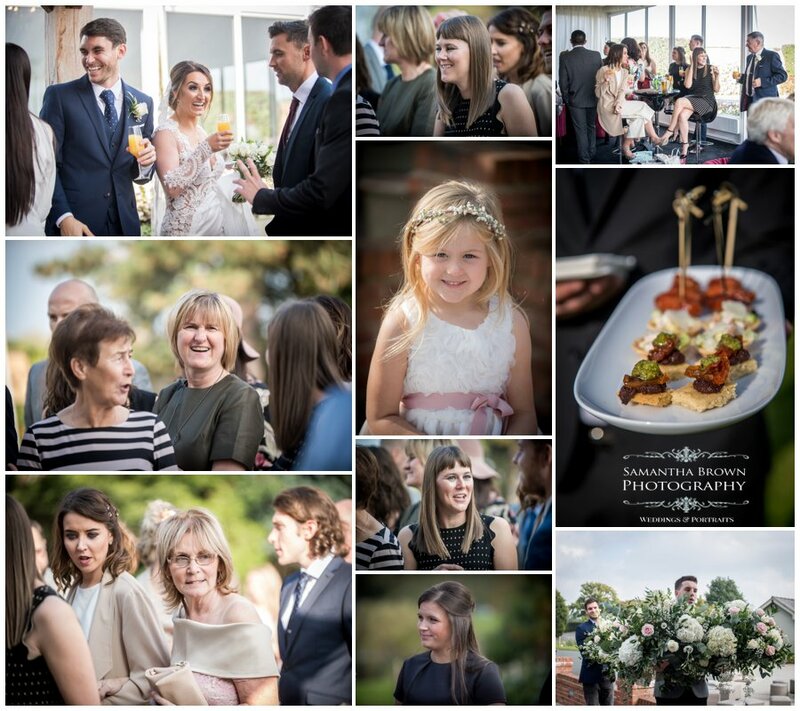 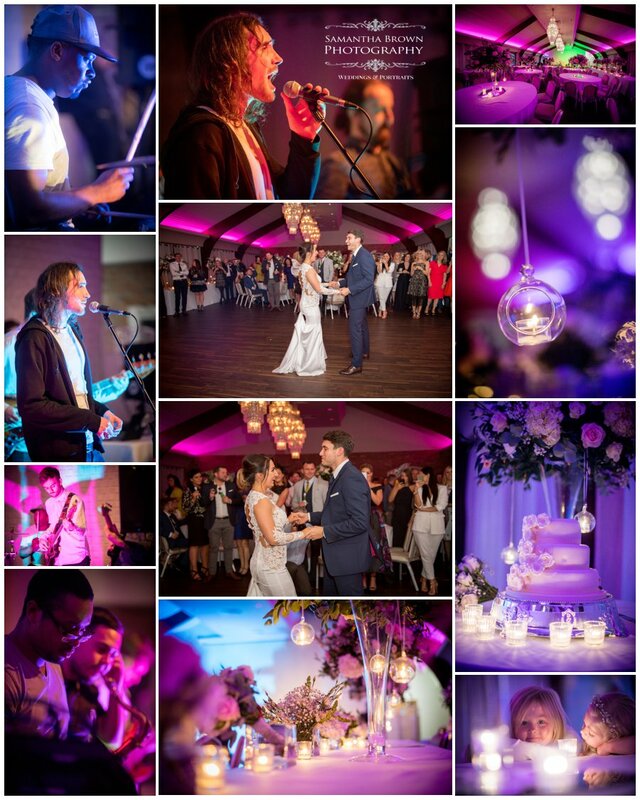 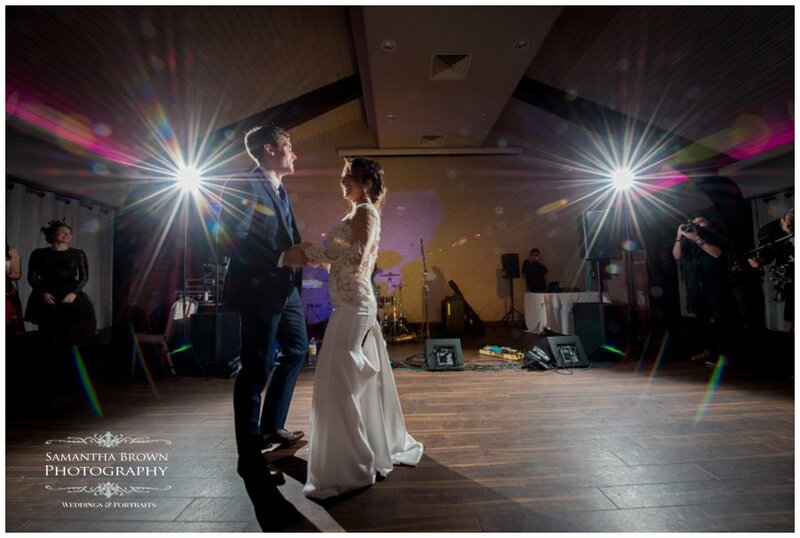 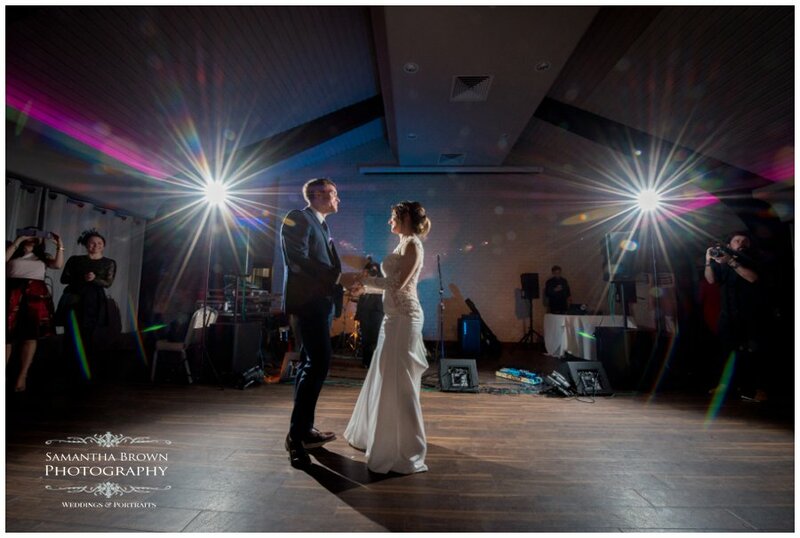 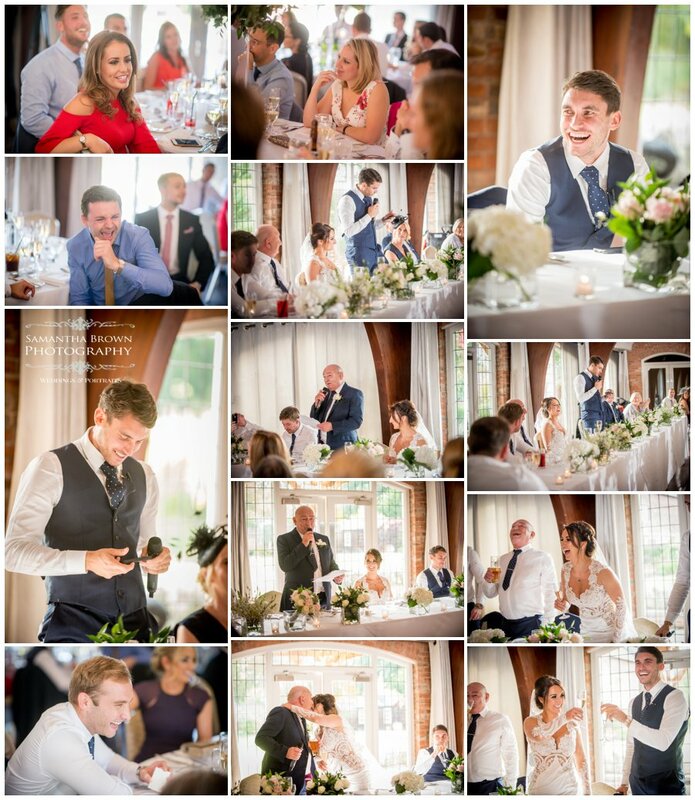 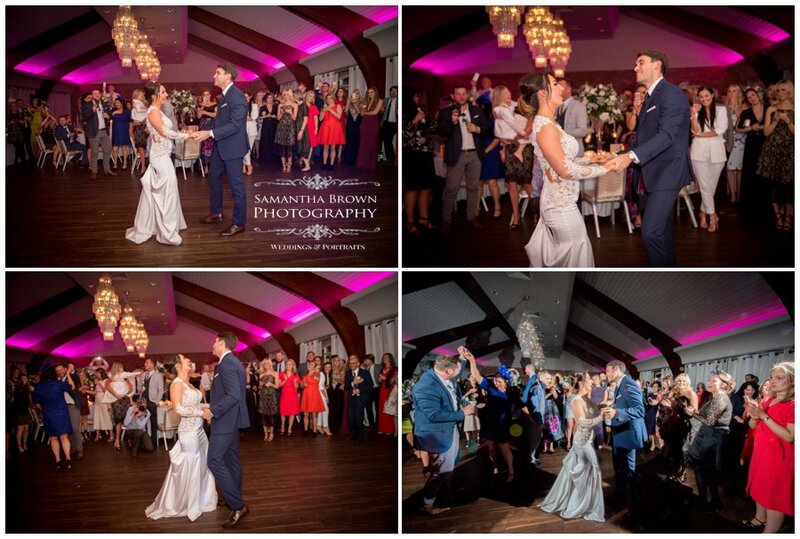 Jen & Ryan’s Colshaw Hall wedding, was a perfect day, the party got into full swing with the fabulous band and everyone danced the night away into the twilight hours. 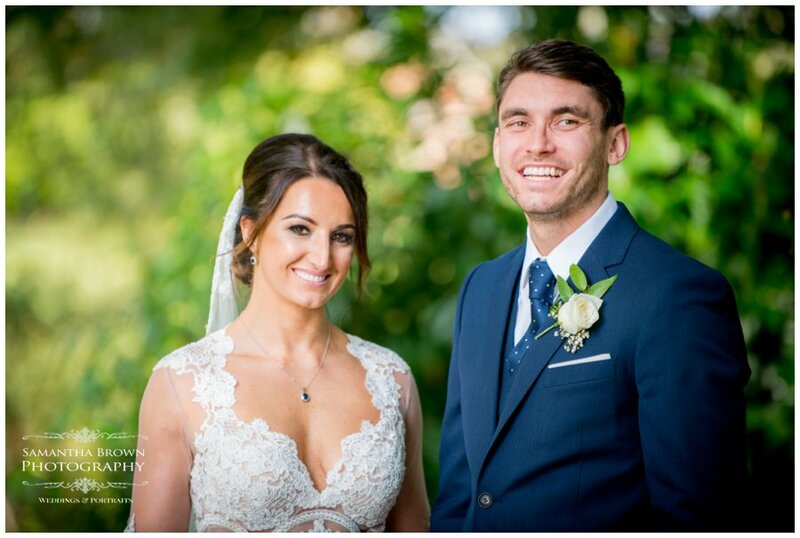 Neil and I wish Jen & Ryan a very happy Wedded life together! 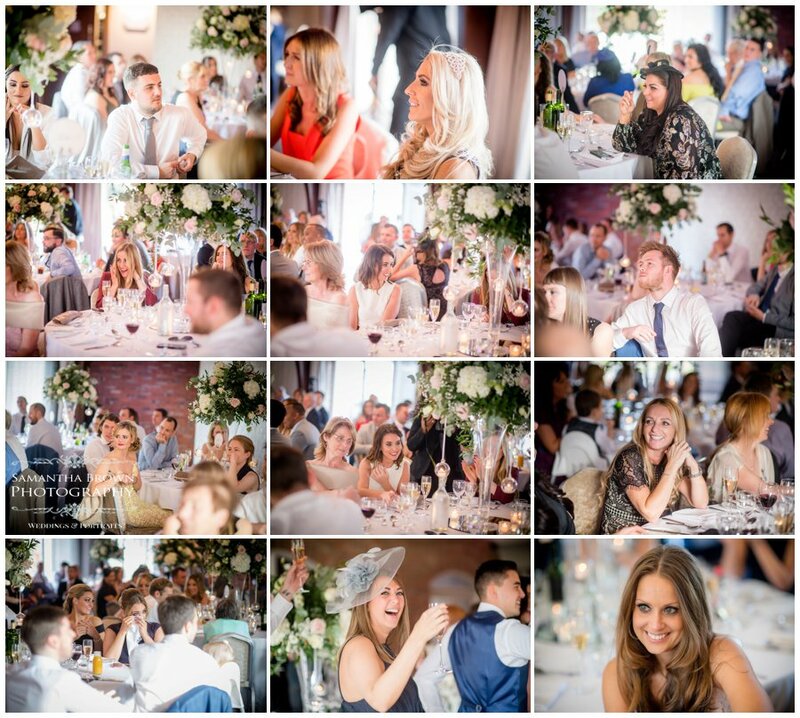 You choose for the spectacular setting! 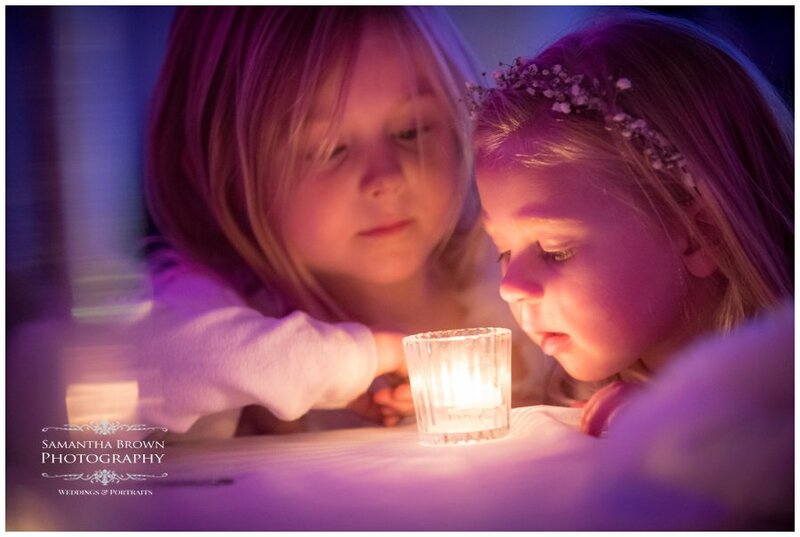 Nice post.